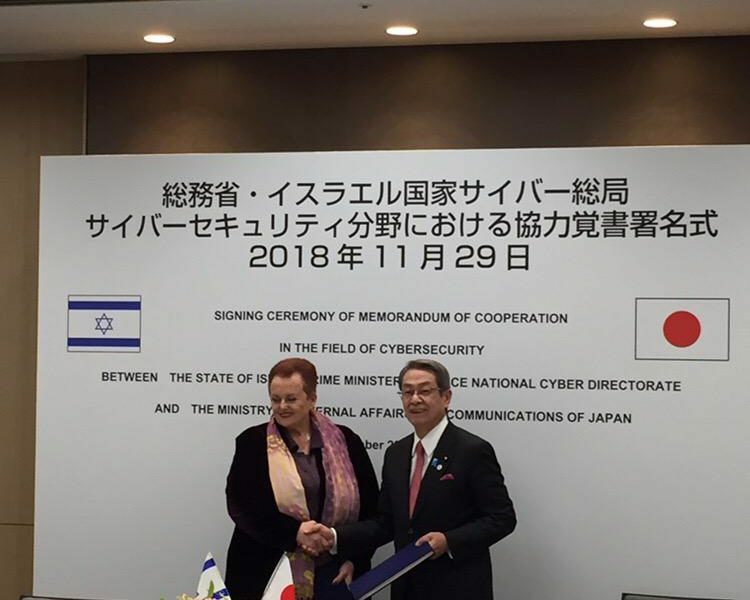 The head of Israel’s national cyber network, Yigal Ona, and Israel’s ambassador to Japan, Yaffa Ben-Ari, signed a Memorandum of Understanding with the Japanese Minister of the Interior and Communications as part of the relationship between the Commercial Attaché and the Policy Department of the Israeli Embassy. This confirms that Israel And Japan will cooperate on Cyber Security. The signing ceremony took place on Thursday during the Cyber-Tech Tokyo Conference, considered the largest cyber event in Japan.